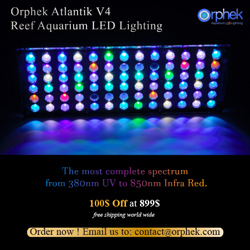 Here’s a bit of a surprise from EcoTech Marine. They just announced the imminent release of the 3rd generation of the wildly popular XR30w and XR30w Pro LED fixtures. The fixtures will be available to the public starting next week, via your favorite authorized retailer of course, and there are plenty of new features for us to gush over. The big updates come in both form and functionality. The XR30wG3 and XR30wG3Pro will come with an updated look that is sleeker than previous generations, and part of that visual updates is illuminated tactile buttons, which make them a lot easier to see. 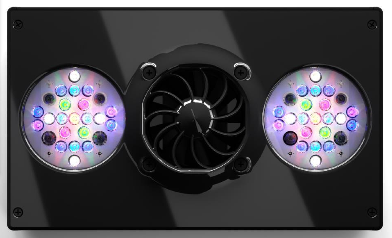 In terms of performance, the new generation Radion XR30w will now include indigo/UV LEDs that will allow for greater output and a wider spectrum. The XR30w Pro already comes with UV emitters, but this is the first they’ll be available on the XR30w. Adding to that performance, the Radion adopts a full array of Cree XP-G2 and Osram Oslon Square LEDs. And last but definitely not least, the G3 and G3 Pro fixtures are fully integrated with EcoSmart Live! Beyond the fixture’s aesthetics and performance, the light can be further customized with the use of the new 120 degree wide angle TIR lenses. Will the G2s be upgradable to G3s? From what I’ve heard…yes. G2 can upgrade to G3. I finally ordered me one!